Tell me, you haven’t heard of Banksy? I don’t believe you. This is the part where I’d usually tell you where he was born and bred, his eye color and his favorite bedtime snack. But the thing is, we don’t know who Banksy is, nobody does. 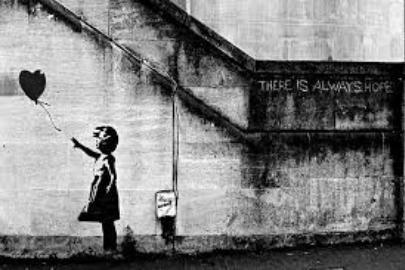 Banksy began his career as a graffiti artist in the early 1990s and was believed to be born in 1974 in Bristol. His identity to this day remains hidden. Although there are a few speculations as to who Banksy could be, nobody is entirely sure of the mastermind behind the spray can. But what we do know is that he is the gold standard of street artists. He is famous for the picture shown below, ‘Balloon Girl’ which is well recognised now by people worldwide. The popularity of his art allowed him to expand his ideas overseas to the USA. After hitting the streets of Manhattan, Banksy started to focus on topics such as world crisis. He took to refugee camps, took to France to help with the Syria campaign, and still continues to be the street artist everyone knows and loves. 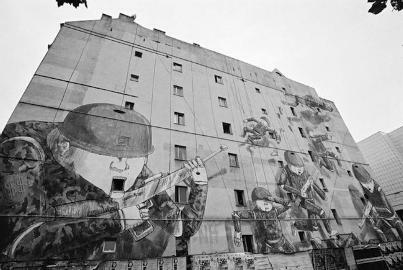 His street work usually focuses on controversial topics such as political themes, satirically critiquing war and capitalism. Another famous piece of his is a spray-painted stencil of homosexual police men, kissing in uniform. Many have speculated that this is Bansky’s way to have the ‘last laugh’ after dodging the cops for so long. 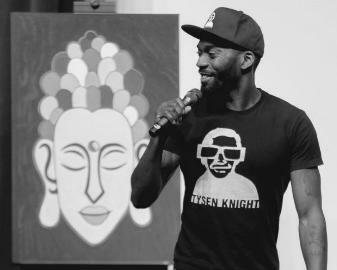 Tysen Knight is a graffiti pop artist, born in Fort Lauderdale, Florida who specializes in animation art and street art. He takes great inspiration from a few successful street artists, but most importantly, iconic pop artist Andy Warhol. You can see this in his work, as you cannot only see this on walls and park benches, but he has the artistic skill to display the same style of work in fine art galleries. Tysen’s love for art doesn’t just stop there, he is famous for staring in "Epic Movie" and "Nora's Hair Salon 2: A Cut Above." He really is a multi-talented young man, who is about to take the streets by storm. Blu is an Italian street artist that currently lives in Bologna, Italy. He started painting in a capital of Italy’s Emilia-Romagna Region and has been involved in the street art scene since 1999. In 2005, Blu had the opportunity to travel to many destinations and was often invited to art festivals, this gave him the opportunity to network with many other well-known street artists, and therefore create a bigger name for himself. Blu completed many amazing large scale murals in Europe. Utilizing high rise buildings, he portrays very important messages in his work and mainly addresses social issues. In his most recent piece ‘War’, you can see that each soldier is being controlled by puppet strings, therefore implying that the government is forcing a war.